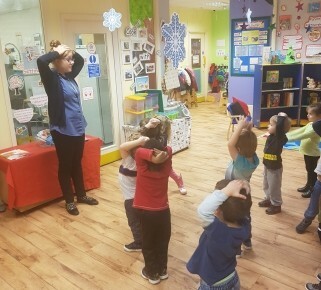 The children had lots of fun taking part in a dance and movement activity today by singing and following the actions to 'Head, Shoulders, Knees and Toes'. As the staff sang and moved faster, the children did too, showing amazing coordination. Well done children!